Another budget patrol boot option if your tight on money. Check out the sizes available now. 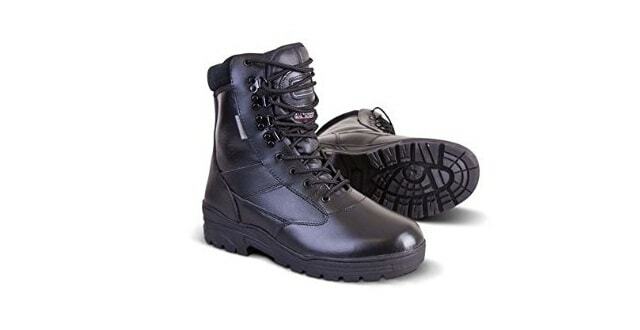 Police Discount Offers have found a great deal for anyone needing Police Patrol Boots. These comfortable patrol boots are full leather with leather lining which has a 3mm thinsulate insulation fibres which stop any heat loss. The company which supplies these boots has all sizes available from 4-13. The price for these boots is £32.99 with free delivery, so for this price you can’t go wrong. They are durable and professional looking so they will suit the needs of any Police Force or Security officer. Do you have a pair? Let us know below.